Apple Watch Series 1 vs. Series 2: Which last-gen model is right for you? 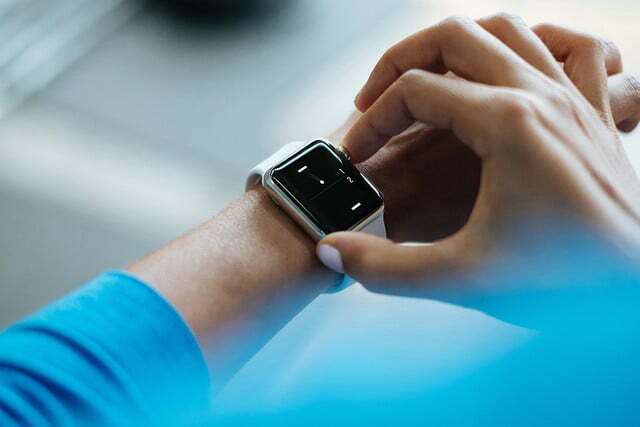 Smartwatches have been around for a while now, which means there are more choices than ever to choose from. Even if you’re a dedicated Apple fan, you still have many options that will be compatible with your iPhone. Although the original Apple Watch (also known as the Series 0) is no longer made or supported, it’s still rather easy to pick up a Series 1, 2, 3, or 4. While the Series 1 and Series 2 are in the process of being phased out as well, you can still find them in select stores, and they remain compatible with Apple’s current operating system (WatchOS 5). While it’s hard to say how much longer Apple will support the older-gen models, they remain an attractive choice for those who don’t mind forgoing a few features in favor of a hefty price cut. To help you decide which of the earlier models is right for you, we’ve compared the bells and whistles found on the Apple Watch Series 1 and 2. 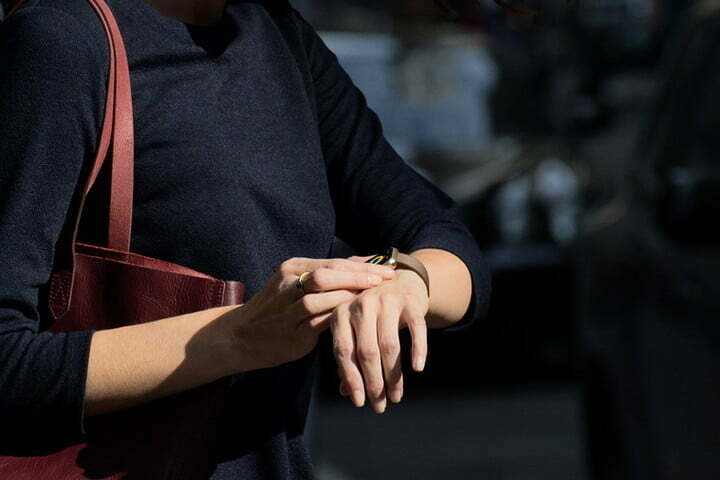 For more information regarding newer models, check out our Series 3 vs. Series 4 comparison. In 2016, Apple updated the original Apple Watch with an S1P dual-core processor and called it the Apple Watch Series 1. The company also introduced the Series 2 at the same time, which is a significant upgrade over the Series 1. The Series 2 is a more feature-rich device overall, and uses a dual-core processor known as the S2. 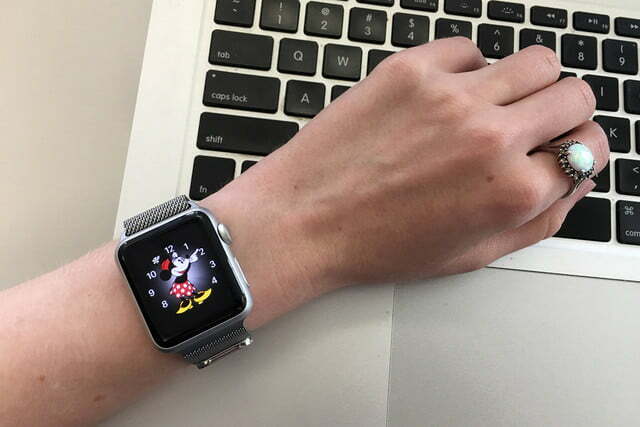 The S1P and S2 processors are 50-percent faster than the original Apple Watch’s S1 chip, and showcase the ability to run 60 frames per second. They may feel a bit clunky if you compare them to the dual-core S3 processor found in the Series 3 and the 64-bit dual-core S4 processor in the Series 4, but they’ll get the job done. The biggest knock against the original Apple Watch was the absence of standalone GPS. You always needed your phone for GPS tracking, which was a hassle for active types. Thankfully, this is no longer the case. The Apple Watch Series 2 incorporates built-in GPS, so you can map your route and exercise without being tethered to your iPhone. 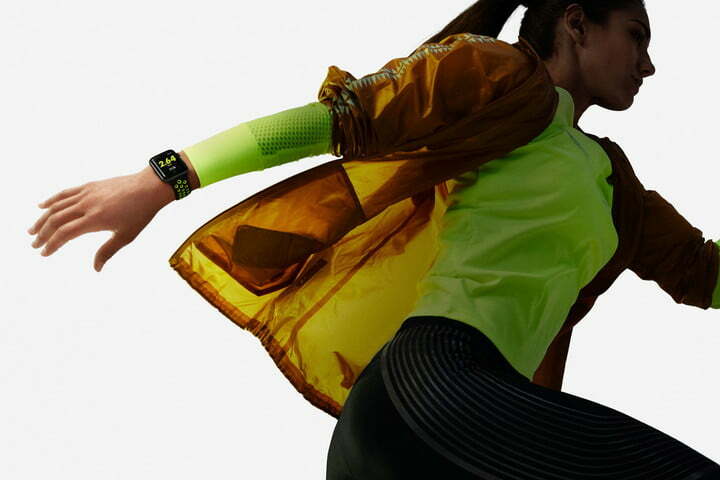 This means you should be able to go out the door with just your Apple Watch Series 2 and get running. The Series 2 also received a battery upgrade and features a slightly larger battery than its first-gen counterpart. The 38mm model features a base capacity of 273 mAh, which is 32-percent larger than its predecessor. Apple estimates up to 18 hours of battery life. There hasn’t been much change in the batteries since then, though, so that means you aren’t sacrificing power just because you decide to opt for an older model. The Series 1 and Series 2 run WatchOS 3 out of the box, but remain compatible with WatchOS 5, which launched in September. The hardware that defines each watch isn’t massively different, but the standalone GPS and improved battery life on the Series 2 puts it a step ahead. When it comes to design, the Series 2 doesn’t look much different from the original Apple Watch or the Series 1. It has the same rectangular casing, digital crown, and button on the side. The Series 3 and 4 are noticeable sleeker and have much smaller bezels, but considering the wide array of smartwatches that are currently available, there is nothing crazy about these ones. The Series 1 and 2 are smaller than the newest model, but only slightly. 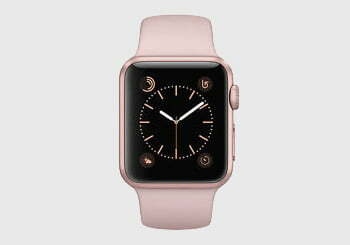 Whereas the Series 4 comes in 40mm and 44mm configurations, other models only come in either a 38mm and 42mm configuration, though, they all support Apple’s proprietary strap system. 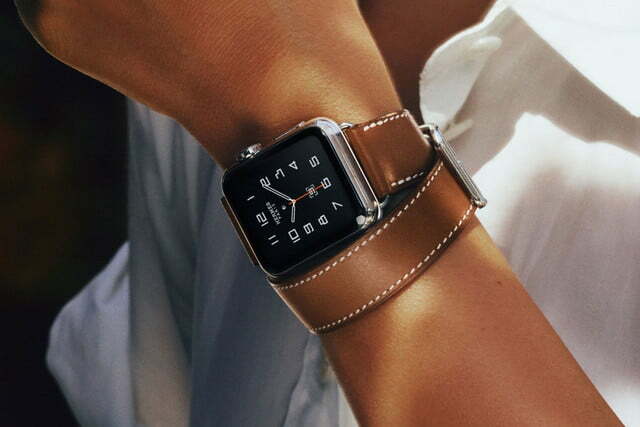 You can get the Apple Watch in a variety of styles and materials, and Apple has a number of bands to choose from. The Apple Watch Series 2 is even more customizable than the first-gen Apple Watch, namely because it’s available in three casings. The least expensive option is the aluminum casing, with the next step up being one made of stainless steel. The top-of-the-line model, on the other hand, uses a ceramic exterior, which is supposedly four times harder than stainless steel. The biggest change from the Series 1 has to do with the display, which received a welcome upgrade in the Series 2. The Series 2 featured the brightest screen Apple had ever used in a product at the time, one that remains on par with the screen in the Series 3 and 4. The display brightness is 1,000 nits, compared to only 450 nits with the Series 1. The screen is not going to be quite as sharp or colorful as the those found on the newer models, but it still has Force Touch. 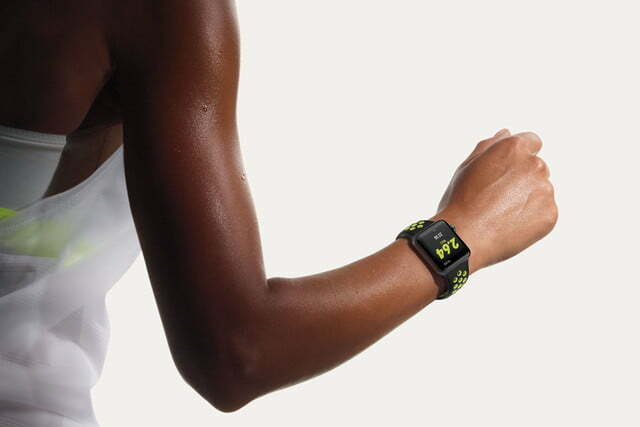 Another big boon for fitness enthusiasts is the waterproofing on the Series 2. The first-gen Apple Watch was merely “splash-resistant,” meaning swimmers were left out of the loop, but its successor is hermetically sealed. 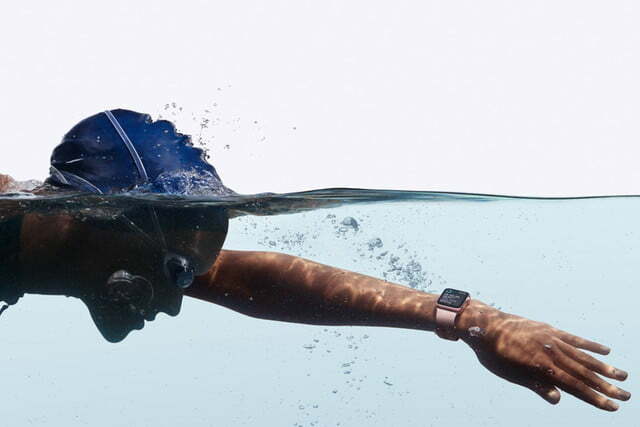 This design upgrade makes the Series 2 waterproof in up to 50 meters of water, so you can actually swim with it. That’s a huge plus for swimmers and people who love water sports. This is where things start to get a little tricky, since both the Series 1 and Series 2 have technically been discontinued. Availability for both devices probably isn’t going to be great, but it is still possible to find new and refurbished options out there. You may even be able to find the Series 2 for cheaper than the Series 1, depending on the exact configuration you chose. That being said, the savings between the Series 1 and 2 and Series 3 and 4 aren’t as significant as you might expect, with generally only about $100 separating the two. If you’re deciding between the Series 1 and Series 2, the Series 2 is the clear winner, as it touts GPS functionality, waterproofing, a brighter display, and a faster processor than the Series 1. However, the differences between the Series 2, and the Series 3, for example, are substantial as well, with the latter offering a variant with LTE cellular connectivity and further improved processing and displays. Your best bet? 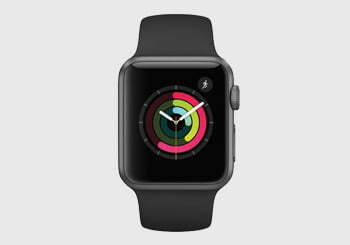 If you can find a Series 2 for cheap (like under $100 cheap), go for it. The Apple Watch Series 2 is a solid choice for anyone looking to get a smartwatch for the first time, but it’s going to feel a little dated if you compare it to the newer models. The longevity of the device is also far from certain, so you’d probably be better off getting a Series 3 at least.